The MBA Games is an annual tradition that brings together hundreds of MBA students from across BC & Canada to compete in academic, sport, and spirit competitions. The 2019 cohort made history by becoming the first group of UBA MBA students to bring home hardware from the BC MBA Games, winning 6 out of 7 events to capture the overall trophy. This meant that UBC got to host the 2018 BC MBA games, where they secured first place again! The Canada MBA Games were started in 1988 by Queen’s University in Kingston, Ontario and the trophy given to the winning team is still called the Queen’s Cup. The BC MBA Games, held in October, were started in 2015 to carry on this tradition in BC and are a perfect warm-up for the Canada MBA Games in January. Both Games are one of the best highlights of the MBA Program. Compete with your classmates in Academic, Sport, and Spirit competitions while getting to know them outside of the university atmosphere and networking with top MBAs from across BC and Canada. Each fall, the 1st year full-time MBA students elect 2-3 people to be the MBA Games Representatives to organize teams for the MBA Games. Th 2018 BC MBA Games hosted at the University of British Columbia. The theme was all about ocean conservation, and cases prepared by participants highlighted sustainable business practices. For the second year in a row, the University of British Columbia were crowned BC MBA Games champions, and the MBA Class of 2020 took home 4 out of 7 awards, hosted right here at UBC. MBA Class of 2019 took home 6 out of 7 awards from BC MBA Games organized at Thompson Rivers University in 2017. MBA Games 2017 was held from January 2-4 at Vancouver Island University. It was won by Vancouver Island University and will be hosted by the University of Ottawa in 2018. MBA Games 2016 was held from January 2-4 in Toronto, Ontario by the Schulich School of Business at York University (who won the previous year). It was won by DeGroote School of Business at McMaster University. Next year it will be hosted by Vancouver Island University. MBA Games 2015 was held from January 2-4 in Hamilton, Ontario by the DeGroote School of Business at McMaster University (who won the previous year). It was a jam-packed weekend of sports, case competitions, spirit events and of course some fun nights at the bar with MBA students from all over the country. MBA Games prep starts off months before the games where we put together a video that is entered into a video competition with each of the MBA Games teams. This year the theme was sustainability and community and you can take a look at the video we put together. The weekend kicks off with a dance performed by each team. This years MBA Games had some interesting events from inner-tube water polo to a game called hostile takeover that can only really be explained with photos. There were also a number of spirit events including one dedicated to the MBA Games charity of choice this year the Ronal McDonald House. The competition was to build the best play house for kids and some amazing kids came it to be the judges. MBA Games 2014 were held between 3rd and 6th of January in Downtown Toronto, hosted by 2013 victorious Schulich. Sauder team of 40 participated in sports (soccer, volleyball, dodgeball, ultimate frisbee), case(strategy, marketing, finance, sustainability) and various other 'spirit' competition. Although we did not manage to win the Games overall, we performed strongly in most of the competitions, won some of them and our "Wolf of West Coast", a spoof of trailer to Martin Scorsese's "Wolf of Wall Street" video was acclaimed by all participants as the best advertisement for Sauder Business School. From January 4th to 7th, MBA Games 2013 was held at Hamilton, Toronto, with 22 schools attending from Canada, and one from USA. Sports competition included basketball, volleyball, dodgeball, and floor ball this year. There was also a variety of case competitions including strategy, marketing, finance, and crisis management. The highlight of this annual event much be the Leadership Video and Live Dance Performance, which Sauder placed 2nd. In 2012 the Sauder team put in a phenomenal effort to produce our best ever result at the MBA Games. The team performed well in most events and placed in many. The scavenger hunt team represented Sauders strength in creative thinking renting a UHaul and setting up a living room, complete with couch, TV, coffee table and art at each of the photo locations. The competition took place in Edmonton, Alberta between January 6th and 8th 2012. 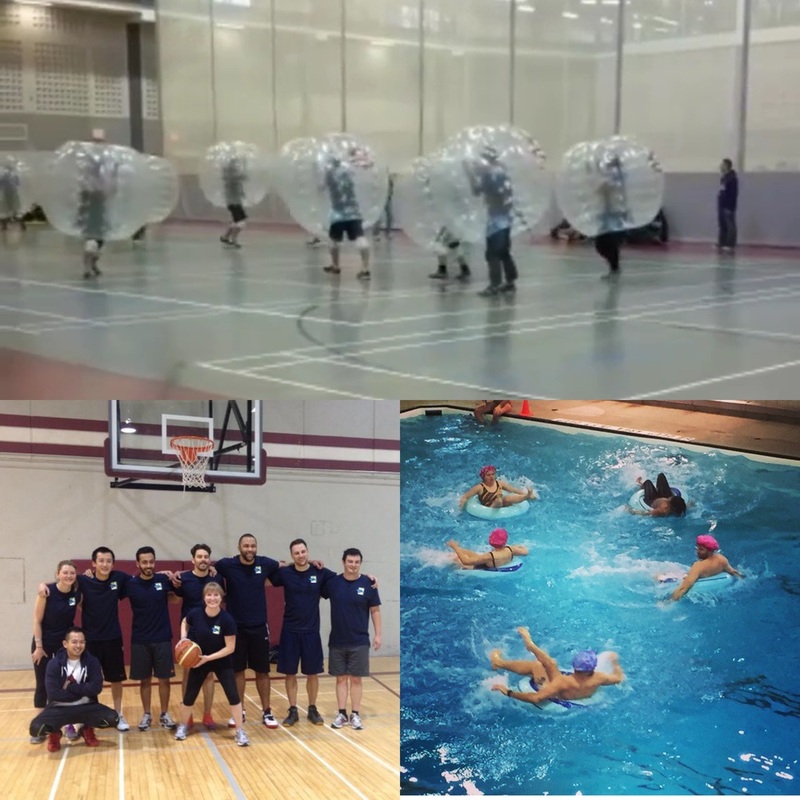 The events included sports such as Ultimate, Inner-Tube Water Polo, Volleyball, and Dodgeball. There was also a variety of case events including strategy, marketing and finance. The team performed admirably in the spirit section of the competition producing an excellent LipDub and an opening stage act that got the crowd going!